This may be the first day of Spring, but that's certainly not stopping it from being bloody freezing! I'm sitting here, writing out a pattern for a future issue of the lovely Inside Crochet, and I'm literally covered in crochet projects, trying to keep warm. Right now, I'm almost regretting my decision to send this latest published pattern in to the magazine at all. It'd be so good to have it around right now! Still, these are the sacrifices we make for the greater good (i.e., you lot!). This way, I'm freezing, but you all have the potential to be super cozy, thanks to Some Like it Hottie, a hot-water bottle cover pattern, with some lovely cabeling and some gorgeous ribbon. Love it! Well done on being in Inside Crochet again, I tell all my friends that I know a famous crochet designer. 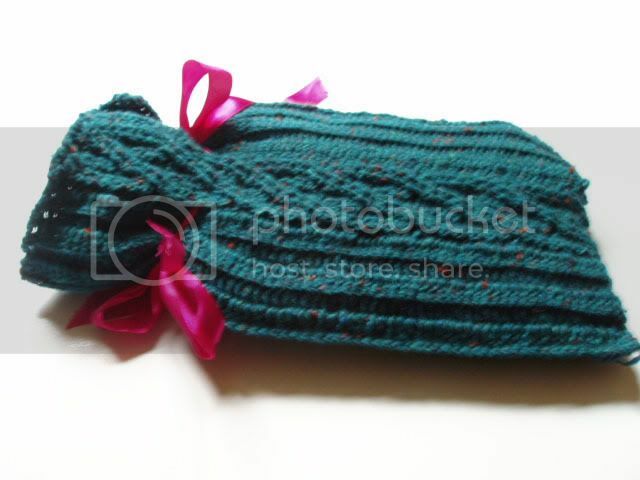 Love the hottie, my hot water bottle has a shameful non handmade cover so something like this would be perfect for it.